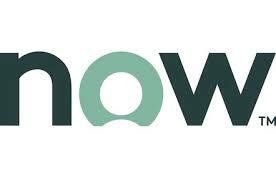 Definitely a big part of the buzz was the unveiling of ServiceNow’s new logo and branding. No doubt emphasizing a desire to excite buyers and users beyond the IT department, the new logo replaces the on/off button that once served as the “o” in “Now” with a human-style form to suggest people, rather than technology, are at the center of the brand. A large dose of the buzz was also around the five ServiceNow suites: Customer Service Management (CSM), IT (including ITOM, ITBM, and ITSM), Security Operations, HR Service Delivery and Custom Apps. It is clear that the ServiceNow platform is expanding at an extraordinary rate, with the core suites increasing in depth, especially CSM. We also learned more about the new technology in upcoming releases, i.e. London in Q3 of this year, that ServiceNow has dropped all across Knowledge18 sessions. We also got a good lesson from keynotes on emerging technologies like AI, automation and machine learning. 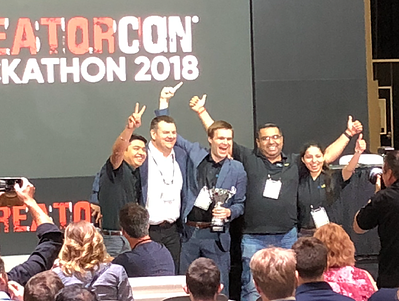 On the topic of machine learning and AI, 3CLogic was named the overall winner of the CreatorCon Hackathon. “Team Vocalize”, consisting of developers Rahul Malhotra, Swati Malhotra, and Amar Singh, with executive sponsor Guillaume Seynhaeve, 3CLogic vice president of Business Development & Sales, beat out 28 other teams with its application that showcased the power of speech transcription with artificial intelligence and machine learning to translate the voice of the customer into actionable ServiceNow tasks. Improve responsiveness to exceed customer expectations, while giving supervisors an unbiased and real-time view of the emotion of clients being served. Leverage a coaching platform for agent training and improvement. The team created the app using commercial off-the-shelf technology, including Amazon Web Services Transcribe, Lamda and Comprehend, together with the 3CLogic cloud-based IVR solution and the ServiceNow platform. Read more in our press release. 3CLogic unveiled its new solution at Knowledge18 that features a fully-native integration within the ServiceNow® platform. Enterprises can now operate their call centers from a single, consolidated platform leveraging a unified agent and administrator experience to simplify the delivery of high quality customer engagement and support. Traffic at the booth was constant to see first-hand how agents and administrators can now work more effectively and efficiently with all customer data, workflow and enterprise resources in one place, without having to leave ServiceNow. If you missed us at the show, view our new ServiceNow integration video here. 3CLogic is proud to be the only ISV Silver Technology Partner with a fully native telephony solution with ServiceNow. 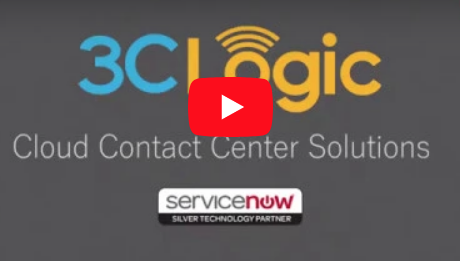 And like ServiceNow, 3CLogic’s platform will continue to evolve and address the emerging needs and requirements in today’s customer-centric organizations. Interested in scheduling a demo to see this new integration in action? Send us an email or give us a call at (800) 350-8656 and hit option #2 for Sales.